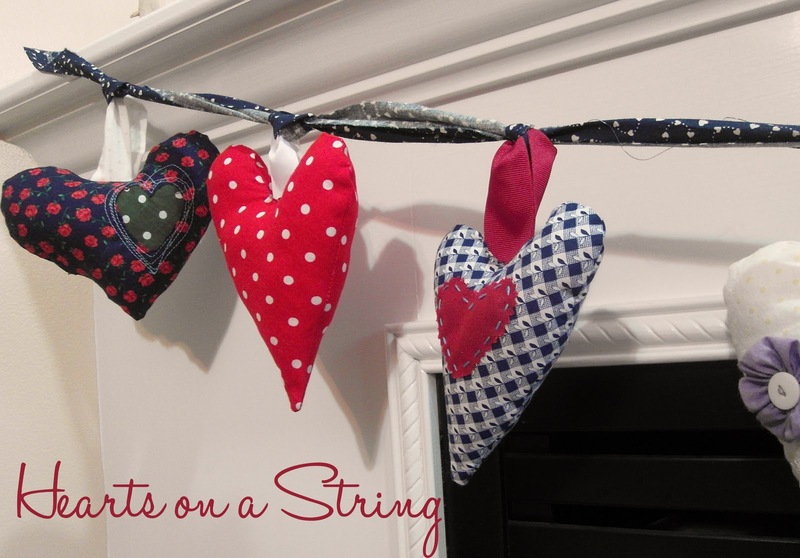 ' Hearts on a String Garland - Sisters, What! As history would have it, V-day and I don't really care much for each other. No fault of anyone, just bad luck and too much pink and red . I don't generally hate pink or red, I just can't stand the over abundance amount that is produced during the holiday. With that being said, I decided that this year, V-day and I are going to try again and start out fresh. Of course, terms were set and contracts were consciously signed. Thus, this was how my heart garland came to be under those strict terms. I used old scraps and didn't pick fabric out based on the usual V-day standards. 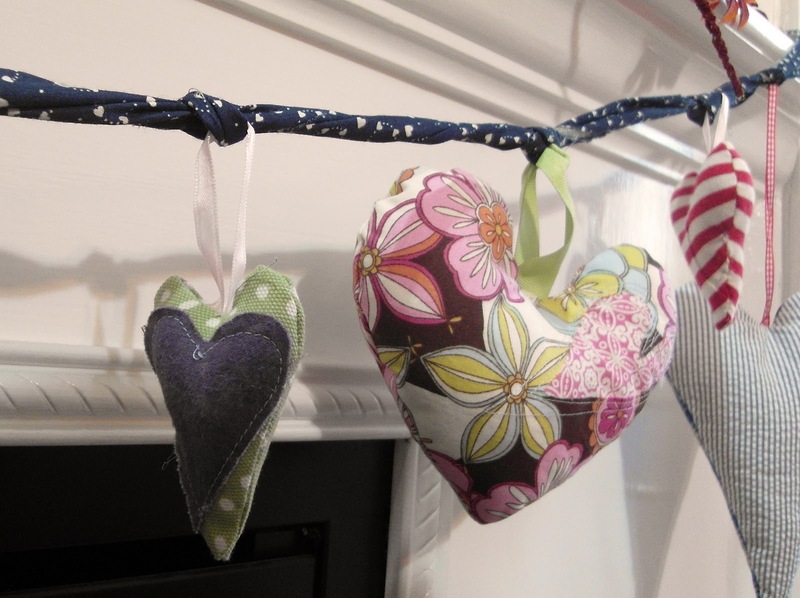 I must say, I'm quite happy with my garland and when I look at it, I don't feel the least bit hostile towards V-day. You might just die when you come to my house. 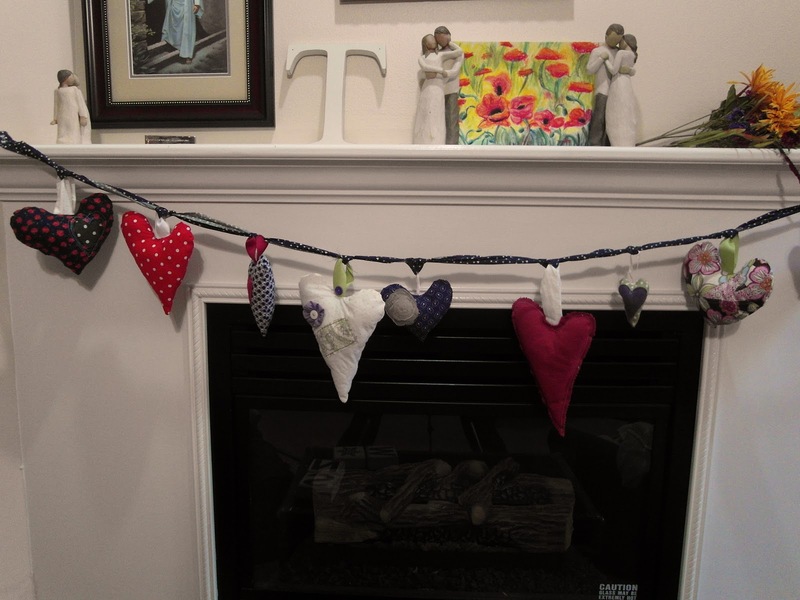 One of the reasons I LOVE Valentines day is because of all the RED...I should post my mantle...cute by the way. Love it. This is so cute! I need to make one for my house! Super cute! I too have a love/hate thing with Valentines day! I decided this year I was going to do a little decorating but not with red! We will see!! Came over from Tatertots and Jello...cute blog, following now! Have a great weekend! This is beautiful! 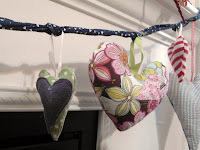 What a great idea for scrap fabric! Thanks for sharing. That's fanTAStic! 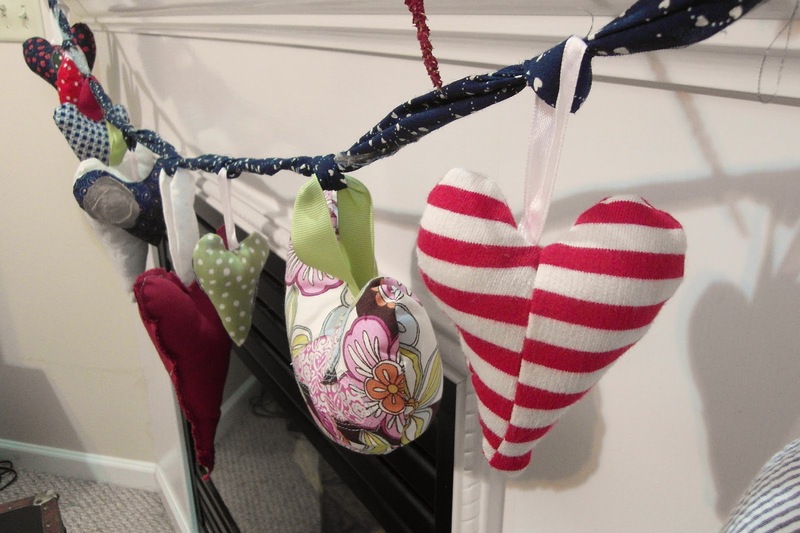 Love the hearts...and I really do like how you used different colors too, besides just the classic pink and red. Up until I met hubby, I HATED Valentine's day, so I feel ya! I'm so glad you shared this great project at Shine on Fridays! Thank you for linking this up to my Valentine Link Party! I appreciate you doing that. I invite you to link up this (or any other Valentine's Day themed posts) at the Find Some Love Fest on February 1st! 5 blogs, 1 link up! Such sweet garland. 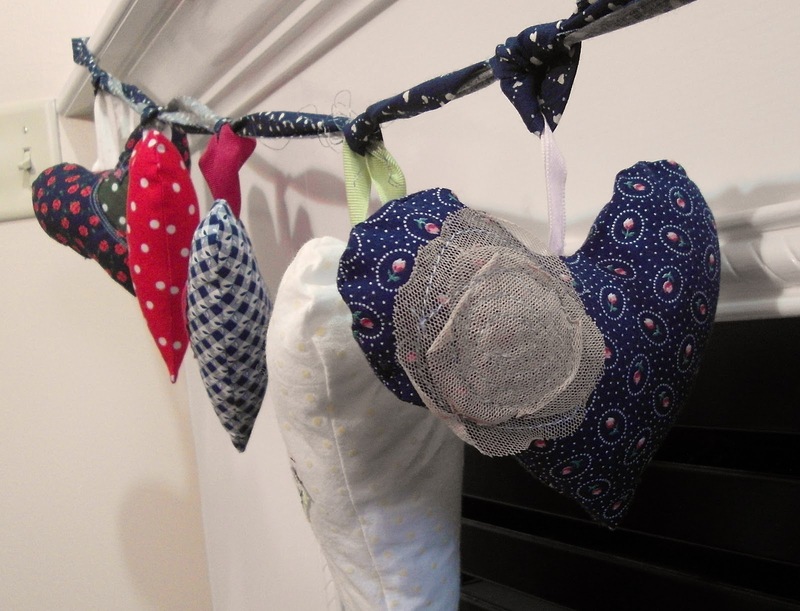 Besides my weekly Fri-monday linky, I am hosting a Valentine contest, with prizes. I hope you will link up for a chance to win. Super cute, I really like it. Hopping over from Someday Crafts Link up. I love the variety of colors. Very cute! THanks for linking to Wednesday Pinterest Favorites. So So CUTE! I'm stealing it for Thea to make she loves sewing but I'm having a hard time coming up with small crafts for her. Thanks!!! I'm going to use this idea, great ! ! This is so lovely!!! I want to make one too! So cute! My daughter is learning how to sew and I think this would be the perfect craft for us both to make together. I love how unique each heart is! Thanks for linking up your garland at Bacon Time. Good luck! Cute! Happy you linked to Things I've Done Thursday! I featured your hearts today! Thanks again for linking up to my Valentine Link Party!